It's been more than a decade since Jurassic Park Movie hit theaters, but fans of the film have not yet given up hope that such a park could one day exist. Now, Japanese firm has made this a reality with this animatronic dinosaur park called Dino-A-Live where visitors see realistic replicas first hand. The theme park would contain full-sized dinosaur robots. The world’s biggest robots ever made were unveiled by Japanese company On-Art Corp., wants to use them to build a tourist park called Dino -A-Live. The impressive moving dinosaurs are for a proposed theme park in the likes of Jurassic Park. Amazing replicas of the dinosaurs unleashed at the presentation in Tokyo were incredibly life-like, standing roughly eight meters tall and crafted from carbon fiber materials that are modeled from fossilized skeletons millions of years ago. The company is surely developing the robots specifically designed to be used in a tourist park and entertain the visitors, tourists at maximum level almost like truly experiencing being with dinosaurs. Further the company also introduce robotic models of raptors, allosaurus and even tyrannosaurus. The whole idea is to build a Jurassic ROBO-park where people will be able to watch and experience the rampaging raptors and all dinosaur versions. While Dino-A-Live isn't the first attempt to recreate Jurassic Park. In 2013, an Australian billionaire, Clive Palmer, opened a Jurassic Park style theme park filled with robotic dinosaurs in Queensland called Palmersaurus. The park located at the mining magnate's Palmer Coolum Resort on the Sunshine Coast and features 160 dinosaurs, which range from 7 to 72 feet in length, and stand up to 32 feet high. Palmersaurus later closed down due to some challenges. The Visitors at Tokyo`s Dino-Live launch Hope that this new innovation by the Japanese firm will stand the test of time and entertain the visitors, tourists at its best. Robots are for ease of life. For those too lazy to stand in line or queue for long hours outside their favorite restaurant or cinema or anywhere ; Japanese carmaker Nissan thinks it has the solution. The company has been able to produce pro-pilot chairs, a fleet of self-driving robot seats equipped with sensors that allow each chair to detect and follow the one in front of it. The empty chair in pole position automatically glides back to the end of the line. 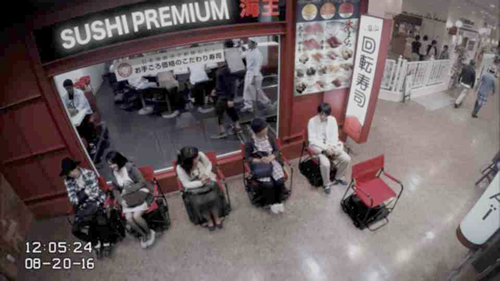 Nissan has big plans to upgrade its autonomous chairs by 2020 so that they can navigate crowded city centers. The company pointed out that the chairs are a gentle way of introducing the technology to the general public. Six chairs are currently on show at Nissan's public gallery in Yokohama, Japan. They will also be trialed in front of selected restaurants in the country from 2017. Depend on the public's response, decision to roll these robotic chairs out further at mass level is expected. Intelligent and self driving chairs have been quite attractive to Japanese Consumers. Toyota unveiled a robot specifically designed to keep Japanese drivers or travelers in car engaged by communicating with Kirobo Companion. 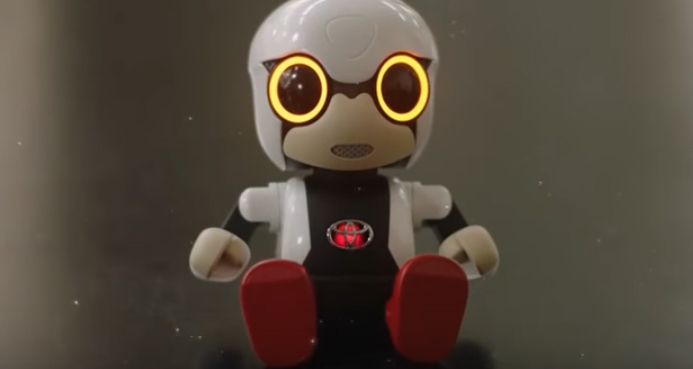 The bot, Kirobo Mini, is a coffee mug-sized android with tiny limbs and huge, vulnerable eyes, is a miniature communication partner developed to provide companionship. Its compact size means it can be taken just about anywhere, helping it to fulfill its role as a cuddly companion always on hand for heart-touching communication. Toyota views its vehicles as companions in life, and it wanted to extend this philosophy to consumers in a different fashion. The robot comes equipped with cameras, speakers and Bluetooth. It will supposedly recognize a person’s facial expressions and determine what mood they are in, but won’t be able to tell individuals apart, through facial recognition or other similar technologies. Its conversation capabilities are the most important feature. Its conversation system works in seamless model audio being picked up by the Kirobo are sent to a companion application on a smartphone. From there, the audio is sent to a cloud system run by Toyota. The cloud system helps determine what is being said and how the robot should respond. All in All Where every car maker is seeing at driver less cars to be on road, Toyota appears to be further one step ahead by placing a small communicating companion.